1031 Exchanges and Deferred Sales Trust™ are both based on the structuring of sales transactions to avoid actual or constructive receipt of the immediate sales proceeds by the seller. 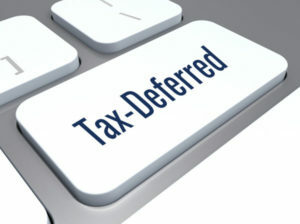 Used as a backup strategy, the Deferred Sales Trust™ preserves tax deferral when the seller cannot successfully complete a 1031 Exchange or does not wish to reinvest back into real estate. When this happens, the Qualified Intermediary (Accommodator) transfers the proceeds from the sale of your relinquished property to the Deferred Sales Trust™, allowing the seller to avoid constructive receipt of the funds and the recognition of capital gains and depreciation recapture liabilities. However, with the 1031 Exchange, the only reinvestment option the seller has is reinvestment back into real estate. While the Deferred Sales Trust™ also allows for reinvestment back into real estate, it is not the only reinvestment option that the seller has. There is no like-kind exchange requirement. You can diversify into a variety of other asset classes. This is especially important in overbought real estate markets. Sellers know they should sell now, but they don’t want to pay the tax and they don’t want to invest back into real estate at the top of the market. The outcome of a Deferred Sales Trust™ is similar to what the outcome would have been if the seller chose to execute a 1031 exchange (except that the seller is not forced to immediately reinvest back into real estate). The seller can stay out of the real estate market for years if they so desire and put those assets to work in other types of investments on a tax deferred basis while waiting for the real estate markets to correct. The sale of a business where the owner’s goal is retirement. Partner split-ups and the tax advantaged dissolution of the partnership’s assets. The capital gain on the sale of an expensive primary residence where the capital gain is above the $250,000 exclusion amount for a single person or $500,000 exclusion amount for a married couple filing jointly. A 1031 Exchange where the relinquished property has been nearly or fully depreciated out. If you would like more information on the Deferred Sales Trust™ as a primary or back-up strategy for deferring taxes on the sale of an appreciated asset, contact Greg Reese, Certified Deferred Sales Trust™ Trustee at (866) 867-8633, or greg@reefpointUSA.com , or enter the details of your particular transaction at https://mydstplan.com/rptrustee to receive a complimentary analysis and illustration.